Time to party? Holidays in Shadow World. As we relax over a long weekend here in the USA for our Memorial Day, it has me thinking about a project I’ve procrastinated on for quite some time: developing a lengthy list of holidays for Shadow World and specific SW cultures. My plan was to comb through Terry’s work (canon), the SW Players Guide, a deep dive into the timelines to come up with some ideas. It’s easy to forget about holidays in a fantasy campaign, but these days can not only be adventure hooks, but provide more game texture in a campaign. Astronomical Events. SW already has some significant astronomical events: Night of the Third Moon and the Comet are two of the most prominent. Certainly the number of moons and their waxing and waning might also be triggers for holidays or observances. Historical Events. The SW timeline is lengthy list of possible “memorial days”: from the first Elven Settlements to the Wars of Dominion there is an enormous amount of material. Religious. Some of the Orhan (and Charon) gods are tied to seasons, elements or natural phenomena. Their Holy Days should reflects the gods “aspect” accordingly. Personal/Social. 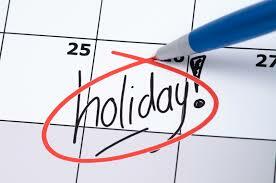 Birthdays, anniversaries, wedding days or other social constructs can a reason for a holiday or festival. From a gaming perspective, holidays could have profound effects on the normal functioning of society. Perhaps local businesses are closed, social norms are loosened, the practice of magic is encouraged or prohibited or there are required dress/costume and behaviors (fasting) expected of everyone–even travelers and visitors. The celebrations can also represent dangers to foreigners if social norms or customs are violated or insulted. I’m going to start a spreadsheet and start adding various events–if anyone has an ideas for Shadow World, leave a comment and I can add it in! Don’t forget the fun ones–especially the Kieron’s Festival! Religious festivals are the perfect time for channeling PCs to do spell research. The rules require the time to be spent in prayer or religious devotion so a festival that brings together many priests in the same place is the perfect backdrop to this sort of research. I wrote a bunch for the Port of Izar. The Summer Games, for Kieron and Jaysek. Founding Day, celebrating the city’s founding. Independence Day, celebrating its independence from the Emerian Empire. Plague’s End, celebrating the end of the plague that hit Hæstra in the Third Era. The Festival of Shaal and the Festival of Neela, because it’s a port. Harvest Festival, for Iloura. Those are good! Do you have dates, and can I add to my spreadsheet? It looks like I haven’t added any specific dates as yet (I have about 10,000 words of notes on Izar), only descriptions of the festivals themselves and a rough adventure hook for one of them. Sure, you can add them, although dates will probably need creating! One medieval European one I always found fascinating was the Feast of Fools or Misrule. It was a temporary inversion of the social hierarchy, where peasants became kings for a day. That could be a lot of fun.